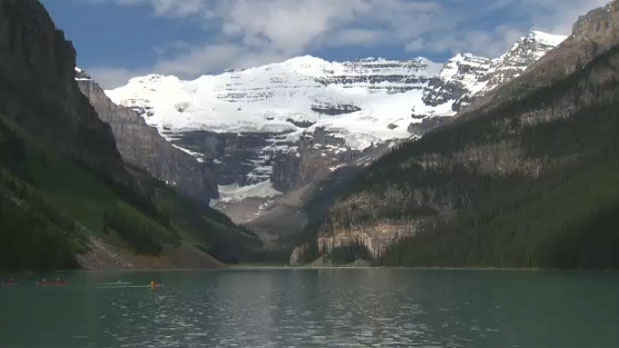 Lake Louise is seen on June 29, 2016 in this file photo. EDMONTON -- Alberta's incoming premier plans to take on environmental charities that he says are blocking exports of the province's oil, but those groups may be saying "bring it on." In his victory speech Tuesday, Jason Kenney repeated his promise to fight back against Canadian environmental groups that take money from American foundations with what he says is the covert aim of economic sabotage by preventing Alberta from exporting oil in any direction but south. "We have been targeted by a foreign-funded campaign of special interests seeking to landlock Canadian energy," Kenney said. 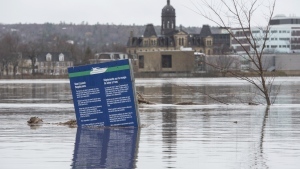 The federal Conservative government under Stephen Harper tried the same thing in 2012 by spending $12 million to audit environmental charities the Tories suspected of breaking the rules. Donations to those charities skyrocketed. Donations to the Tides Canada Foundation, audited (and cleared) in 2012, nearly quadrupled. Figures compiled from federal statistics show the group collected $3.7 million in 2012 and nearly $13 million the next year. "If Mr. Kenney wants to drive tens of millions of dollars to a few environmental groups, to the detriment of 1,200 other environmental charities in Canada, just do what the previous federal Conservatives did," said Mark Blumberg, a Toronto lawyer who specializes in charities. "It would be a major fundraising coup for these few groups and terrible for the charity sector." The Rockefeller Brothers Foundation is one of the groups Kenney has accused of conspiring against Canadian oil. But figures on the group's website show the foundation spends almost six times as much fighting climate change in the U.S. than it does in all other countries combined. The David Suzuki Foundation, another target, said 90 per cent of its donations come from Canadians -- and two-thirds of those are from individuals. 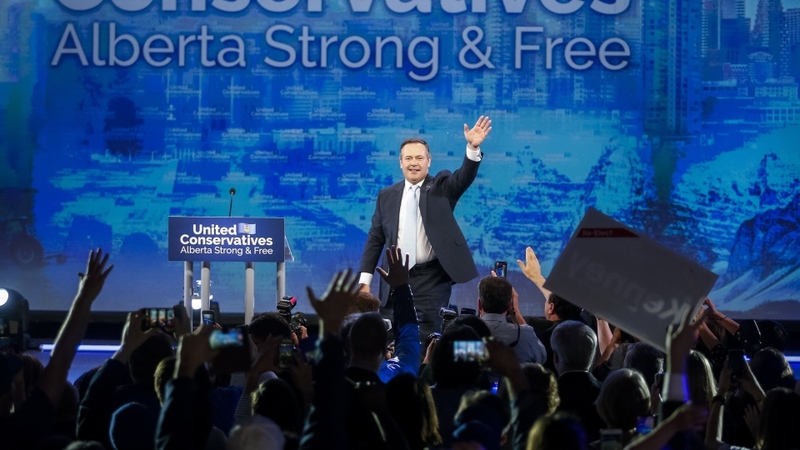 Lead Now was investigated by Elections Canada and cleared last October of violating the rules, despite accusations Kenney made Tuesday. Joshua Hart, who teaches social psychology at New York's Union College, said Kenney's speech fits the technical definition of a conspiracy theory: a small group working in secret to enrich themselves at the expense of others. Most people believe in at least one, he said. Some may be true. But Hart said some circumstances are more conducive to their spread than others. "When people are out of political power or when they feel they aren't in control of circumstances, that's when they'll gravitate toward conspiracy theories." Mark Busser, who lectures on conspiracy theories at McMaster University, said it works the other way as well. Successful politicians can use such theories to attack enemies. "This can be a way of pushing back against trends or social movements that can be out of step with their own policy preferences. It's a way of undermining the legitimacy of critical voices." The theory first surfaced in the early 2010s but has resurfaced, appearing recently in opinion columns in mainstream media outlets. Concerns about Russian meddling in the U.S. presidential election and the Brexit vote may have helped bring it back, said David Tindall, a sociologist at the University of British Columbia. But the two issues shouldn't be confused, he said. Any Russian interference would have been to help a specific political party, Tindall said. Environmental groups work with whichever party advances their interests and sometimes switch allegiances. "It's not partisan in the same way." Besides, he said, climate change crosses borders. Canadians and Canadian groups are involved in other countries as well. "Climate change is an international issue and Canadians are involved in international issues elsewhere. What does that matter?" Blumberg said provincial governments have ways of making life difficult for charities. But it may not be worth it. "The Conservative overreaction to what was, in the end, a very small number of groups doing things they didn't like was in the end very detrimental to Alberta. (The UCP) need to come up with an approach that will actually result in there being progress on the things that the people of Alberta think are important as opposed to just taking potshots."